Hydro Graphics — Custom paintwork, hydro dipping and gunsmithing services. York, UK. We are one of the UK's Oldest and the best immersion Coating Companies. Hydrographics is the ONLY Realtree® licensed company in the UK. This allows us to dip in official Realtree® camouflages. With Over 30 Years experience in Painting and custom finishes. We give a perfect finish every time. We have expert trained painters and Immersion Coaters which are always happy to help and discuss how to get you the best look on your Pride and Joy. We only use the best materials for that perfect finish. We provide a complete refinish and gunsmithing services for Air Rifles, Pistols, Centre Fire Rifles and Shotguns as well as a wide variety of sporting goods. We also offer bespoke and custom paintwork on all vehicles, from Light Aircraft and Cars to Scooters, Motorbikes and radio controlled vehicles. If you can see it we will Coat it. 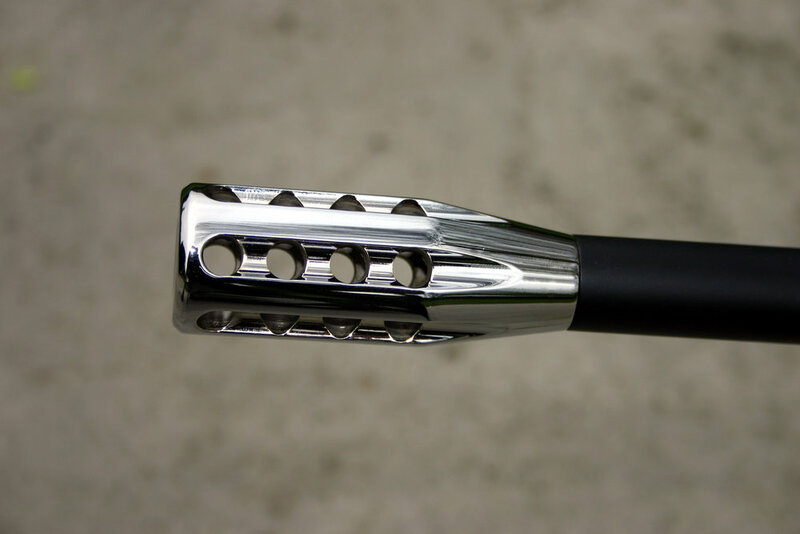 In addition, we offer in house design and machining of one off custom parts for rifles and vehicles. Here are some examples of adjustable cheek pieces, buttpads and a muzzle brake. All these are fully bespoke, they were custom machined and fitted by us. Find out about our company, team, our process, and our custom paintwork facilities. Learn more about the custom finishes and gunsmithing services which we provide. Looking for inspiration or examples of our work? See the wide range of patterns we have available including Realtree® Camouflage.